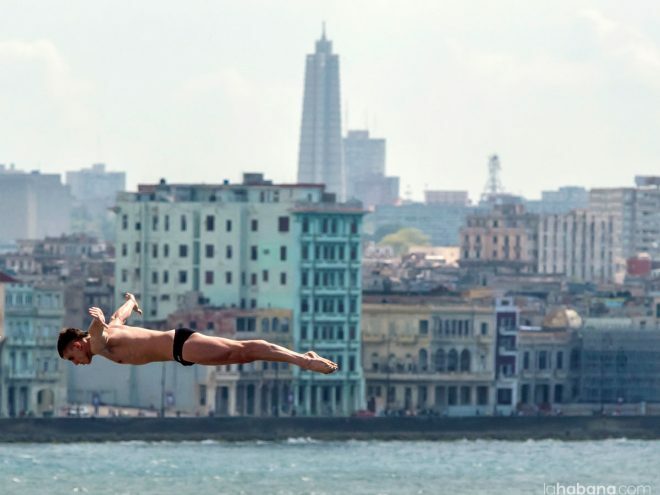 Cuba is a country where sports are synonymous with life and passion. You can talk to anyone anywhere about any sport, from baseball to ice hockey, the winter Olympics or American football. Throughout the year there are several sports tournaments of different sorts that will go on all through the country. The Cuban government subsidizes all the facilities and productions for these events. We suggest the following tips to help you feel at home should you decide to attend a sports event in Cuba. Most events don’t charge for tickets and even if you do have to pay, it will be hardly anything at all. Only some specific sports such as golf and fishing have very high entrance fees. You will have the chance to chat with the athletes during intermissions or at the beginning and end of the tournament. That’s something special with our sports: the constant contact among the young athletes and their fans. If you go up to talk to them, nobody is going to mind. Unlike tournaments in other parts of the world where they sell shirts bearing the players’ numbers, in Cuba you will only find drinks and food being sold. Cuban tournaments are quite modest so you will only be able to ask for autographs. Don’t worry if you don’t see any police security in the stadium. During soccer games in other countries, it’s not unusual to see fights in the stands, but in Cuba fighting or any sort of disturbance by the spectators is extremely rare. If you see people shouting or gesticulating, don’t worry. That’s how Cubans show how they feel about their sports. I repeat: it is very difficult to ever see fights breaking out in the stadiums. Wear light clothing and comfortable shoes, take a hat and bring water because it gets very hot at tournaments. If you should be brave enough to participate in any of these tournaments, these are the most important ones scheduled for 2017, month by month. The Marcelo Salado Swimming Cup will be held from April 6 to 15 in Havana and you can enjoy what this sport is all about in Cuba. All categories compete. There is also a team competition format and one by provinces in all the varieties of the sport. The famous International José Raúl Capablanca in Memoriam Chess Tournament will be held in Havana from the May 3 to 19. No doubt about it, this is the most important such event in Latin American and the Caribbean region. In past years, great chess players such as Miguel Najdorf, Anatoli Karpov, Vassily Ivanchuk, Lázaro Bruzón and Leinier Domínguez have participated. The Moncada Gymnastics Cup will be held from June 16 to 24 in the city of Camagüey. It will be a chance to discover new athletes in this sport, in both men’s and women’s categories. The National Baseball Series is the most important of its kind in Cuba. Every province is involved and the main players get together in those 16 teams. The current champions are from Granma Province and this year they will want to win for a second season. The nine favorite teams at the 2017 edition will be the Ciego de Ávila Tigers, the Matanzas Crocodiles, the Pinar del Río Tobacco Farmers, the Industriales from Havana, and the Holguín Bloodhounds. The NORCECA beach volleyball circuit will take place on the sands of Varadero from August 21 to 30. This year the special feature of the event will be seeing the Cuban duet of Sergio González and Nivaldo Díaz who attained fifth place in the Río 2016 Olympics. The Grand Fondo Tour Cuba for cycling in Havana takes place from the 18th to the 24th of October. It usually happens on the popular Malecón strip; men women and children of all ages will be cycling approximately 4 kilometers. Many have called this the “Havana cycling party” because of the crowd it attracts every year. Caribbean Table Tennis Championship in Santiago de Cuba, from October 13 to 23. Every province in Cuba participates. Last year, approximately 200 athletes took part, wanting to improve their national rankings both in the children’s and youth categories. Titan Tropic Cuba in Havana, Pinar del Río and Artemisa, November 18 to 28. This cycling event has attracted participants among Cubans and it seeks to incorporate a greater number of cyclists form other countries. Marabana from the 17th to the 27th of November in Havana. Every edition brings together conventional runners and walkers, Elites, non-Elites, Masters, Handicapped (blind, deaf and wheelchair racers) for the marathon distances of 42 km and 195 meters; half-marathon for 21 km and 09750 metros; 10 kilometers. Copa de la Amistad in Havana. Competition will be in several sports. Usually it’s university student who participate, whether or not they are athletes. The important thing is not to win but to have fun and make new friends.